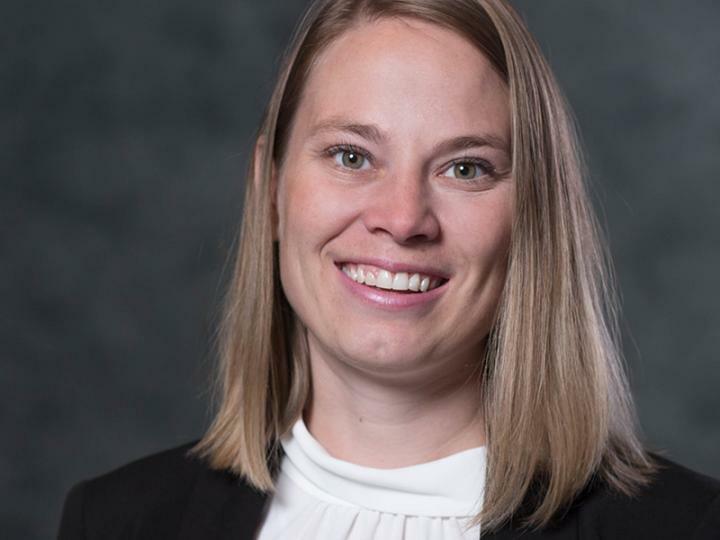 Jennifer Pazour, assistant professor of industrial and systems engineering at Rensselaer, has been selected to take part in the National Academy of Engineering's 24th annual U.S. Frontiers of Engineering (USFOE) symposium. The symposium will take place Sept. 5-7 at the MIT Lincoln Laboratory in Lexington, Massachusetts. USFOE brings together a select group of emerging engineering leaders from industry, academe, and government labs to discuss pioneering technical work and leading-edge research in various engineering fields and industry sectors. The goal of the program is to facilitate cross-disciplinary exchange and promote the transfer of new techniques and approaches across fields in order to sustain and build U.S. innovative capacity. "It is critically important to bring young engineers from different technical areas together to spark innovation," said NAE President C. D. Mote Jr. "The Frontiers of Engineering program does this by creating a space for talented engineers to learn from each other and expand their technical perspectives early in their careers." The 2018 USFOE symposium will cover cutting-edge developments in four areas: quantum computing, technology for humanitarian assistance and disaster relief, resilient and reliable infrastructure, and theranostics. In her research, Pazour develops mathematical models to guide decision-making for supply chain and logistics challenges. Her research has made contributions to military logistics, distribution and transportation systems, health-care logistics, on-demand supply chains, and peer-to-peer resource sharing systems. Pazour has received a number of prestigious grants and awards, including a National Science Foundation Early Career Development (CAREER) grant (2018), a Johnson & Johnson WiSTEM2D fellowship (2018), a National Academies of Science Engineering and Medicine Gulf Research Program Early-Career Research Fellowship (2016), a Startup Grant from the Material Handling Institute (2014), and a Young Investigator Award from the Office of Naval Research (2013), among others. She is the 2017 recipient of the Dr. Hamed K. Eldin Outstanding Early Career IE in Academia Award, and the 2018 recipient of the Logistics and Supply Chain Division Teaching Award, both national awards from the Institute of Industrial and Systems Engineers. Pazour earned her bachelor's degree from South Dakota School of Mines and Technology, and M.S. and Ph.D. degrees from the University of Arkansas, all in industrial engineering. She is involved in a number of programs to encourage youth to pursue engineering and supply chain professions.